So we all know by now that, while essential, personal protective equipment is of course the last line of defence when it comes to occupational safety. After all, humans are fallible little things at best, and if there’s anything that can be done to design risk, or indeed humans, out of the equation then so much the better. It’s with this in mind that our article from UL’s Mark Ward looks at, among other things, wearable technology and virtual reality. This theme of fallibility is continued in our lighting article, which looks not only at the importance of adequate workplace illumination and emergency lighting, but it shines a light, pardon the pun, on human response in situations that we deem to be emergencies. Whether it’s your car keys playing hide and seek before you leave the house for work, or a mobile phone that’s disappeared into the depths of a bag – leaving you questioning whether it is in fact on your person or was left on the table when you were having a coffee – we’ve all either experienced or seen someone go through the panic of thinking they’ve lost something. Urgency kicks in, and more often than not chaos ensues as things are thrown around in an attempt to uncover the item – only to ironically mislay more possessions in the process. Then even if you come across the offending article you’ll probably overlook it in a flurry of adrenalin and panic – and this is just in a leisure scenario. Logic and calm are the first things to disappear even in the above, day to day, non-life or death example. Human beings tend to react differently in emergencies than planned. So leaking gases or accidents automatically result in a higher production of adrenalin and lead to unexpected or even unpredictable behaviour. What’s more, we’re highly visual creatures, so sudden darkness deprives us of one of our most important natural senses and leads to disorientation. People sense danger in darkness and fear for their safety. So, as highlighted by Elke Werner-Keppner and Dr Volker Koch, the reality of rummaging for a torch when faced with a power outage/gas leak combo – all because there’s no emergency lighting – would in all likelihood end badly. 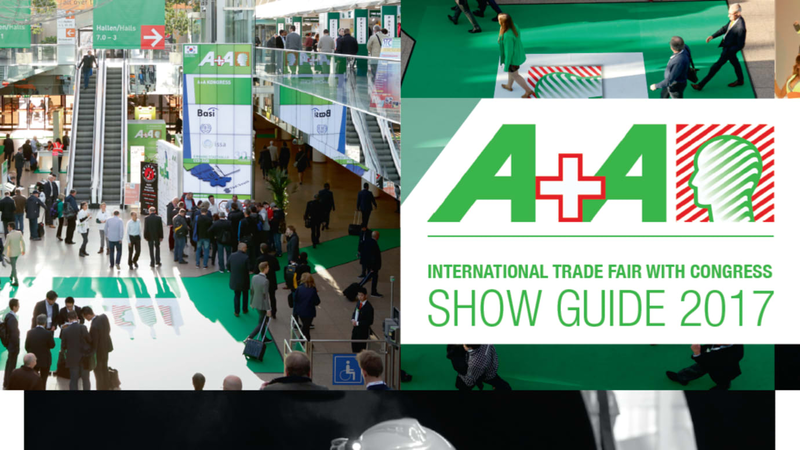 Added to a selection of fantastic articles on working safely at height, protective clothing, gas detection, foot health, head protection, and glove innovations, we’re proud to say that this A+A Show Guide edition of Health & Safety International magazine is our biggest and best yet. A massive thank you to everyone who’s made this possible and continues to support the magazine – whether that’s through writing, subscribing, advertising, designing, selling, or making the team endless cups of tea! Stay safe out there – and if you’re at the A+A, come and say hello at stand 6H77!